@HERMusicX drops her highly anticipated EP I Used To Know Her: The Prelude. 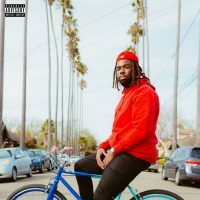 The singer from Vallejo just dropped a 6 track EP with features from Bryson Tiller & DJ Scratch. H.E.R. taps into new talents as she’s rapping on the first track with “Lost Souls” featuring DJ Scratch. She also keeps true to her quiet storm sound & has a dope duet with Bryson Tiller. You can check this album out on all platforms here. You can also check out the YouTube playlist below to listen as well.